Posted On December 16, 2014 by Team iCynosure. Every winter I really worry about my chapped, cracked and dry lips that could completely ruin my beauty routine. Our lips don't contain oil glands and that's why during winter we lose moisture from our skin more rapidly than other seasons. Thus our lips form the most sensitive part of our body skin and so to combat the evil so dry chapped lips we must moisturise our lips through external elements. Don't stress too much, we bring to you some really effective ways to get soft, juicy and silky lips. 1. Drink plenty of water to hydrate and nourish your lips. 2. Don't lick your lips as it tends to pigment the skin. 3. Add food items containing Vitamin B to your diet or take Vitamin B supplements. 4. Quit smoking as it peels away layers of your skin exposing delicate skin to the harsh environment. 5. Exfoliate your lips with a sugar scrub to remove the dead cells. 6. Apply and leave, ghee or honey on your lips overnight. 7. Use lip products that have moisturising agents in them and avoid alcohol, menthol, retinol and glycerin. 8. Remove lip makeup before hitting the bed. Phew, isn't that such a stressful list, so much for such a small part of the body? But fear not, we have the most simplistic solution to your lip woes. Am sure you want to know what that is? Well here is the reveal. 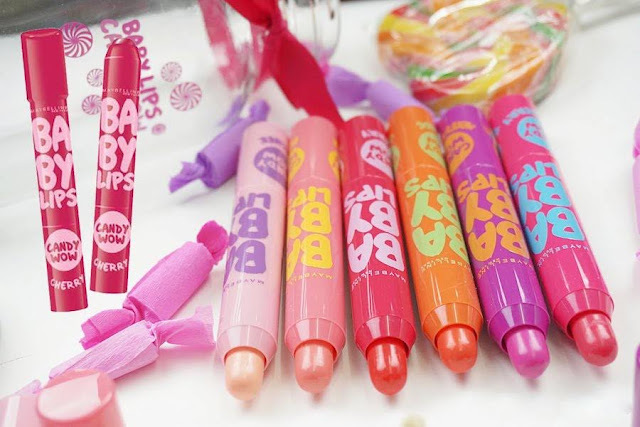 Yes, my go-to product for smoother, softer, suppler, moist and juicy lips is the Maybelline Baby Lips Electro Pop. So here's the checklist about the season's must-have product. 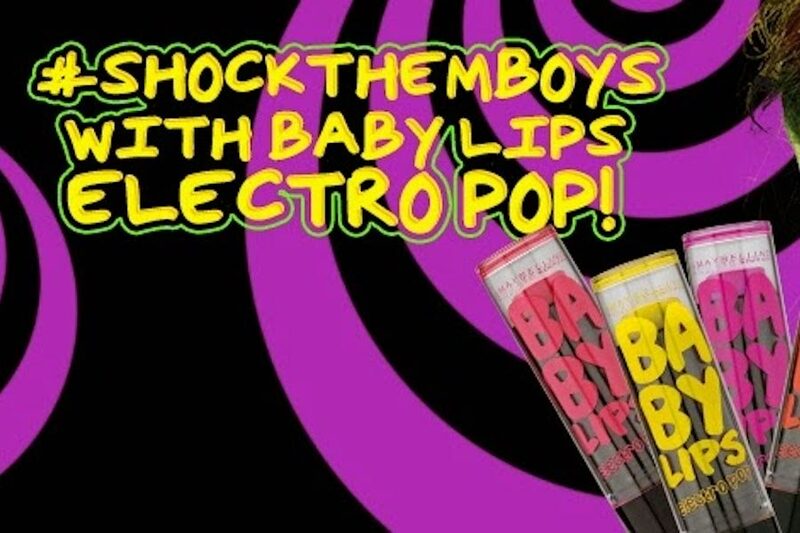 What's Maybelline Baby Lips Electro Pop all about? Electro Pop is the next generation Lip Balm from Maybelline that offers 8 hours continuous moisture. The product is infused with Shea Butter and Vitamin E that gives natural softness in vibrant neon colours. Electro Pop also contains colour pigments with lip renew formulae for a sheer tint of colour and shine. What flavours is the Electro Pop available in? The product is available in four flavour variations of Pink Shock in Watermelon, Berry Bomb in Blueberry, Fierce N'Tangy in Lemon and Oh Orange in Orange. How is Electro Pop packed and priced? Packed in a twist up black tube with a transparent cover, it is a smart and cheerful packing as you can see the product peeping out of the black tube. So if you have multiple flavours it becomes easy to pick the one you want to use. The cover sits on the black tube to fit with a click ensuring locking the product securely thus making it easy to handle and carry. Priced at INR 165 for a 3.5g product the use-by date is 3 years which doesn't seem that expensive. Love these love these to the moon and back. I used both the flavours sent and fell in love with Pink Shock in the watermelon flavour. The product line true to the house of Maybelline is a treasure to use not only this winter season but also throughout the entire year. It moisturises the lips and makes it soft, supple and juicy along with adding a colour tint to the lips. I love the fact that it does what it promises and helps regain the health of the lips with minimum fuss. It also has a lovely fragrance adding sheer and shine to the lips. Though the shine decreases over a few hours, the lips remain smooth and soft due to the Shea Butter and Honey elements in them. A super duper plus is fuller lips it helps me achieve. To know more about Maybelline Baby Lips Electro Pop and to join Maybelline Facebook page. Would you like to try it, leave me your comments. Great review - I need to drink more.